The building of real, trusting partnerships requires face to face engagement. It is imperative that non-profits understand this as much as the donor community. There has been substantial media coverage about a funding crisis in the non-profit sector and, for many organisations, this is reality. document that indicated that there were about 305 000 full time employees in the sector. This is no small number! The main reduction of funding was that from international aid agencies with some reduction in local corporate funding for non-profits as a result of the recession. Currently business confidence in South Africa is quite low and people are not investing heavily in business enterprises within the country, although South African companies are doing well outside the country. This all has a knock on effect on our own civil society and institutions such as universities. (4) (and possibly) purchasing their own premises. Income generation implies a mixed model and in this respect many organisations can become effective social enterprises without losing the values that drive the non-profit community. From Inyathelo’s view, we understand that fundraising is not fair – it is not about the best idea or the best proposal, but it is about building personal relationships based on trust. Trust is no doubt the underlying contract between a donor and a grantee, but it doesn’t happen without engagement. Relationships cannot only be on paper. The growing demand for detailed reporting including outputs, outcomes and impact has something to do with current donor practice where trust is reduced and relationships are curtailed. The building of real, trusting partnerships requires face to face engagement. It is imperative that non-profits understand this as much as the donor community. 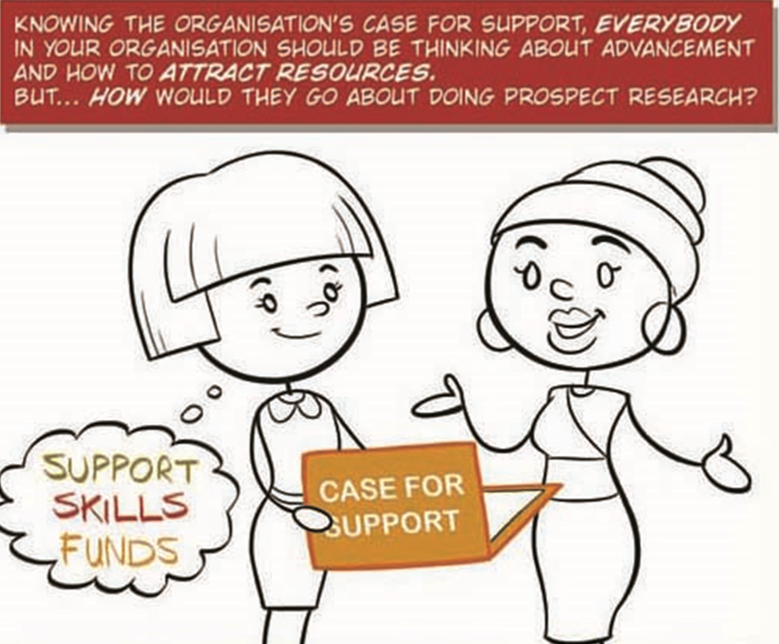 We at Inyathelo believe that there are resources available to the civil society sector, but organisations and their leaders need to attract these resources, rather than chase money. They need to put in place effective advancement practice including good governance, quality leadership, good financial management, functioning programmes that deliver on their objectives, monitoring and evaluation; they need to be visible and let the world know what they think and do; they need to be clear where they are going, what they want to achieve and how they will do it. They cannot rely on proposal writing as the first port of call. This standard way of raising money is probably the least effective and I am always amazed that people continue with a practice that doesn’t work. There is no silver bullet – the bottom line is that organisational leadership has to build relationships and this takes time and effort.